Prior to our trip Derek had agreed to take a family friend out for some bull trout so we made the journey back to some familiar water. While we had already been blessed with some good fish, we had caught brief glimpses of fish at and around the 3ft mark that called us back to these commanding waters. 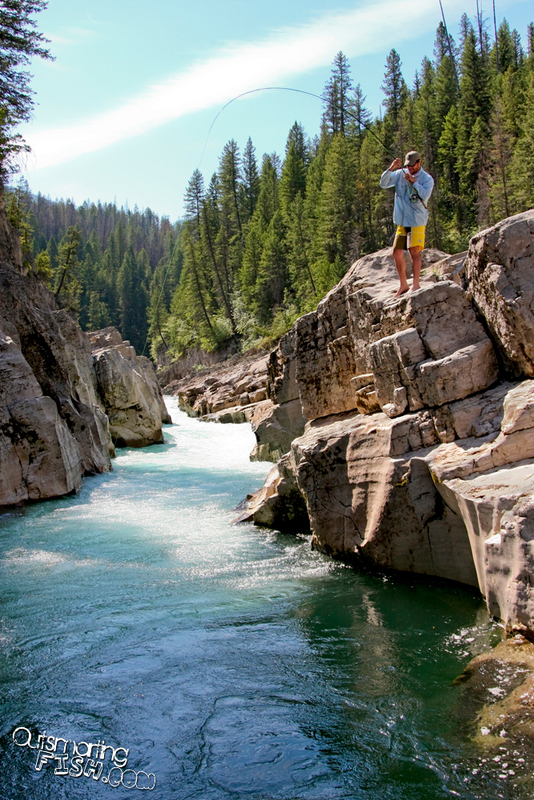 How could you ever get sick of fishing in a place like this anyway? 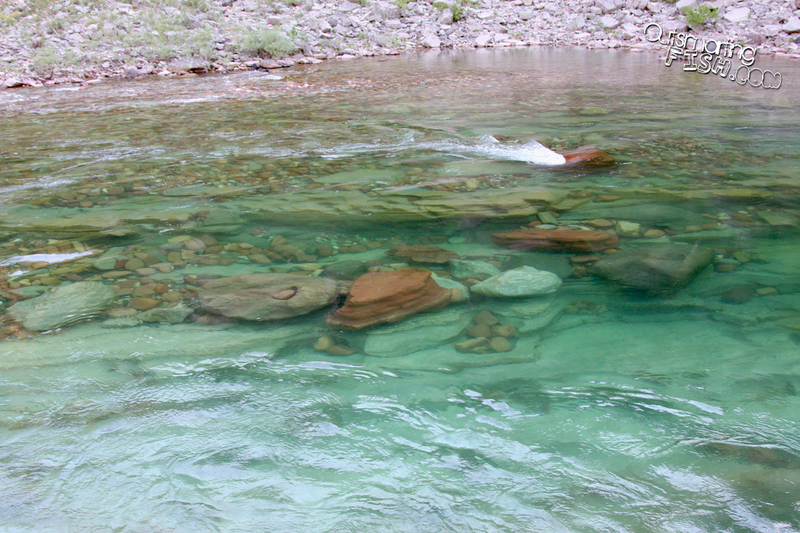 The crystal clear waters cutting through the rock and littered with rounded stones of every color. This place is nothing short of amazing. Today was very similar to the last time we were here. 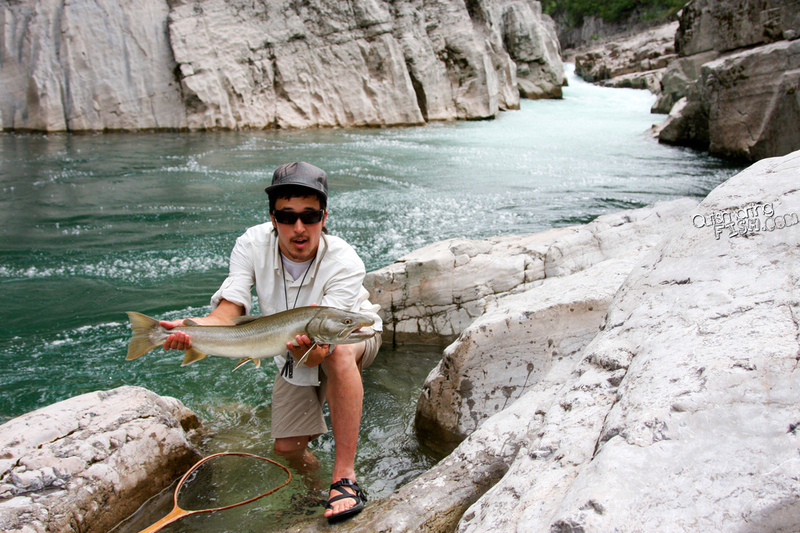 Whitefish and West Slope Cutthroat skittered about cautiously in the big current. 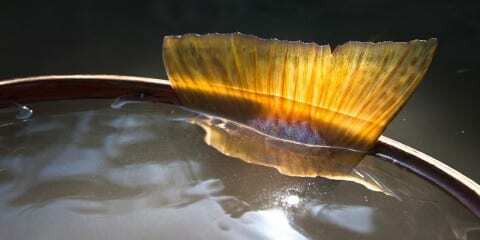 They would occasionally take bugs off the surface as they swam around in small pods. 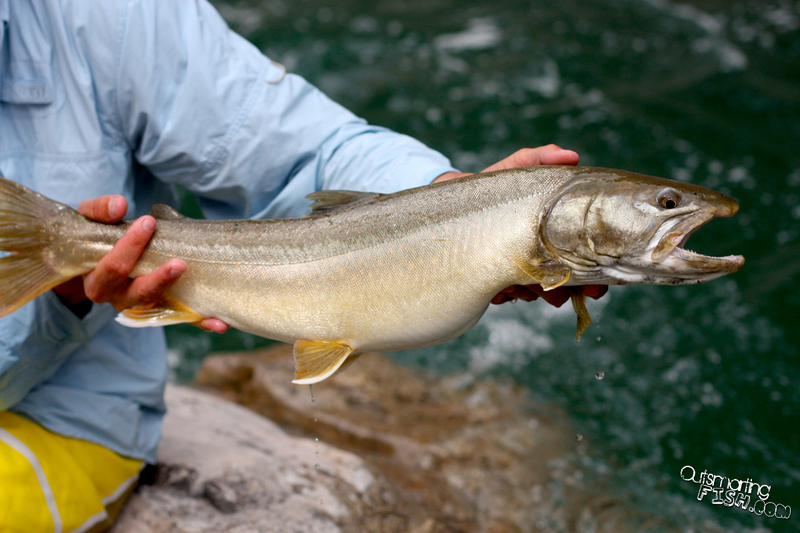 The whitefish would sometimes coast down the heavier, bubble-filled current – their bodies often breaking the surface. This seemed sketchy due to the savage takes that we frequently witnessed. All the whities and cutties seemed perfect munching size with the occasional larger cutt. 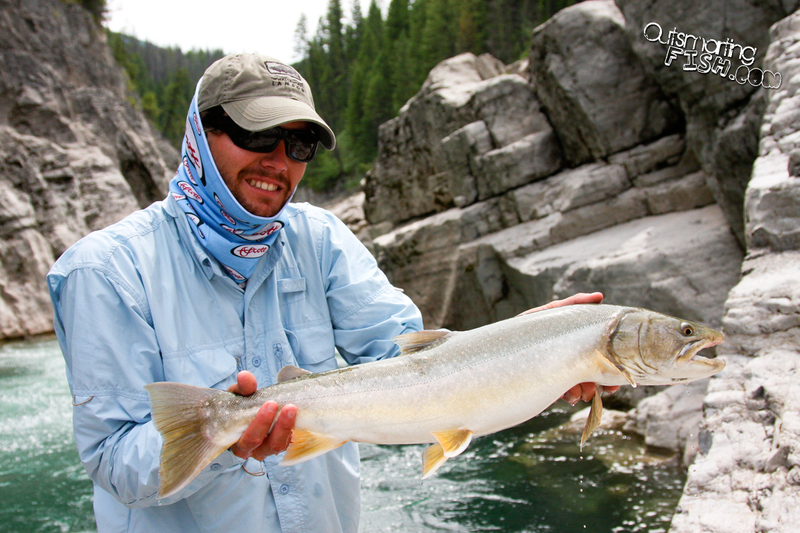 The bull trout ranged from 22ish up to the 36+ inch fish that Derek had spotted on the last trip. 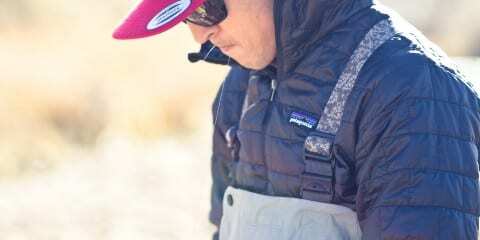 The action was about the same with the fish (and water) making you work for each hookup. Hookups would come in all manners. Some as you fished deep and some shortly after the fly hit the water. We both were able to witness one take that was particularly jaw-dropping. Derek chucked his meat to the opposite cliff wall in a DEEP, bubble-filled run. Literally, the very instant the fly smacked the water a bull charged from his unseen holding place and chomped his prey as he rocketed out of the water. Insane. This is the rocket himself (followed by a couple of his friends). My most memorable part of this trip was one of those that will forever be filed under “the one that got away” category. It all began in utter chaos. I’m fishing the upper part of the hole where the bubble water dumps in. I feel a hit deep in the channel and I set on what feels like a great fish. 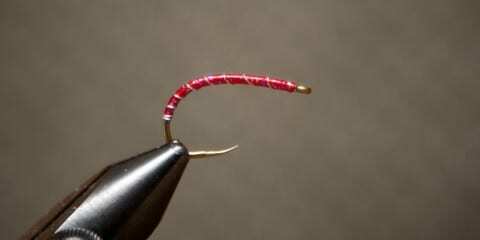 Very shortly after I find that my excess fly line had tightened into an impossible knot! 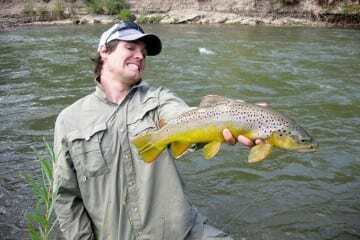 I yell to Derek that I would need his assistance as I now frantically battled the biggest trout of my life. 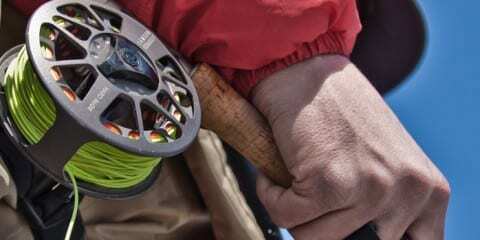 Derek works furiously to untangle my knot as I do my very best to keep pressure him hard enough to keep the fly in and the fish in the slower, deeper water and yet light enough to keep him from turning the fight on and heading to the faster tailout of the pool. After literally two or three minutes, Derek has successfully un-knotted my fly line. As I now begin applying more pressure the fish comes to life and intensifies his protest. I played him for a few brief minutes in the preferred water until he made his way for the faster tailout of the pool. This is the point where the fun begins. Once fish reach this point it is necessary to chase them down the cliffed-out banks. 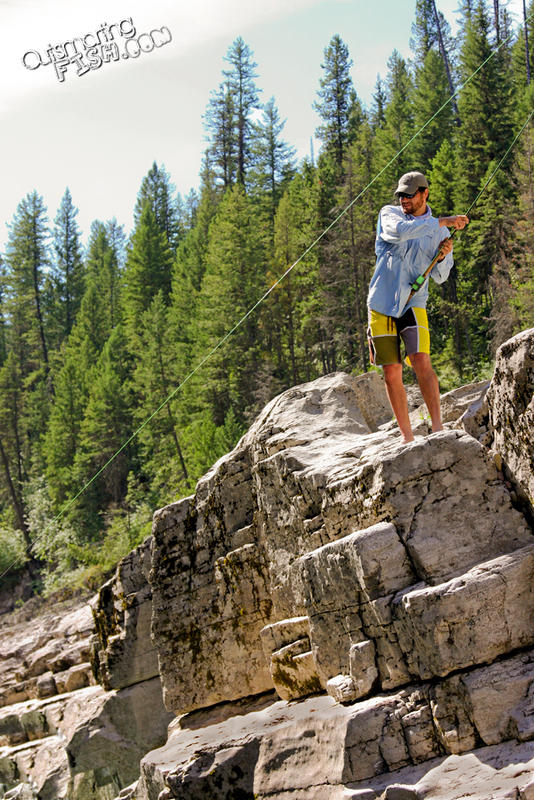 At this point where the river dumps down into a longer, calmer stretch, the cliffs rise up and away from the river making it necessary to climb, rod in hand (or mouth), and play the fish from an elevated 15-25ft above the river. More than once we found ourselves climbing and chasing bullies in a manner somewhat reminiscent of Frank Smethhurst in “Running Down the Man”. On this occasion, Derek climbed first with the net and I handed my rod off as I quickly joined him on top. Thank heavens for Chacos and stealth rubber! 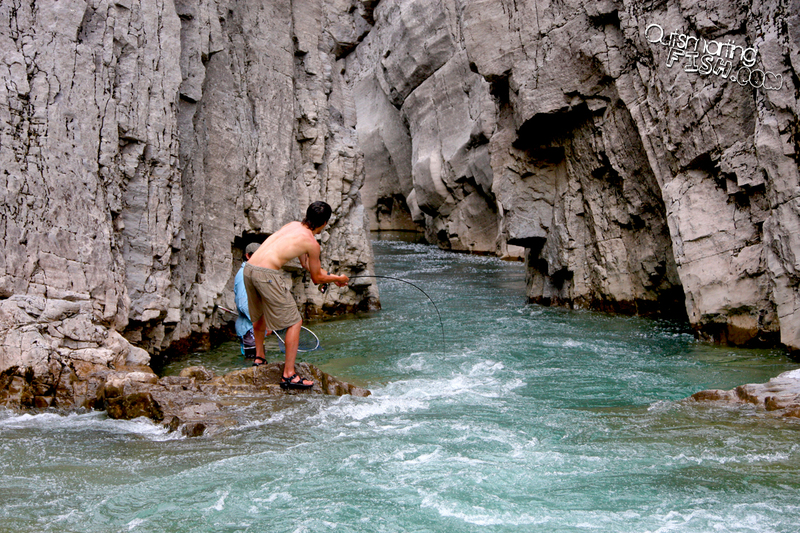 Once atop I continued to play the fish in this slower water as I walked to the top of the cliff. It was here that I realized that I was indeed in battle with the largest trout of my life. Not gargantuan, but definitely a fish of size. I hoped that I would be able to tire him out here so that Derek would be able to net him 50 yards down where the rock descended back down to the riverside. This was because right below that point there was another point of no return where the river again dumped into a new stretch. Unfortunately, the fish decided not to play nice. After a few minutes of working him in this stretch he gradually made it down to where Derek was but avoided the net. I scrambled down the rock as quickly as possible while frantically taking in all the line I could. After the water dumped it maintained a healthy current as it entered a deep channel between 30ft cliffs on either side. If I was to follow the fish past this point it would have to be by either swimming through the scary-deep channel or by scaling the cliffside (a harder/longer climb than before) and fishing from the top. The fish made his way quickly into the deep channel. Rod in hand, I swam to a small perch at the mouth of the channel. Here Derek and I put up our last battle. Derek waded deep to the edge of a rock shelf that dropped off into unknown depths. I applied as much pressure as I dared – knowing that this was my last chance. We had him to the net, but Derek was unable to scoop him in, as nothing short of a perfect head-first dive into the net would suffice on a fish this long. It was when I brought him up out of the deep one last time and Derek made his final swipe that the hook finally pulled from the fishes mouth. I could do nothing more than hunch over like Gollum. I couldn’t believe it! I sat in unbelief and couldn’t help but burst into laughter. What an adventure it was! Climbing and swimming with my homie, Derek, to chase an amazing fish over 150 yards downstream and then losing him at the net! I loved every minute of it. To my surprise Derek’s friend, Richard, had even grabbed my camera and caught some of the moments on film. Priceless. One of the sweetest moments I’ve ever had fishing. I take it as the fishes’ invitation to come back for more. Now that’s an invitation I could never refuse! I know this spot. It’s amazing to think of the quantity of water that flows through essentially a crack. Great read!